The 2018 Irish America Wall Street 50 is published. View the honorees here. 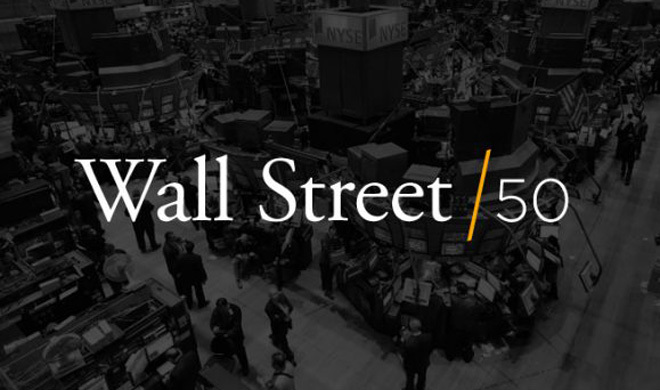 This year’s Wall Street 50 marks the 21st running of the list. The honorees, many the descendants of those who came here with nothing, represent some of the largest finance companies around the globe, two-thirds of the U.S. GDP with $12.8 trillion in revenues, $1.0 trillion in profits, $21.6 trillion in market value, and employ 28.2 million people worldwide. For twenty one years, Irish America has sought to draw attention to that influence by recognizing those financiers who share a commitment to bettering the American economy and a passion for their heritage. We have never been lacking for candidates, whether seventh-generation Irish Americans who are themselves the manifestation of their ancestors’ dreams or the many Irish-born who continually work to maintain the strong connections and forge new bonds between our two great countries.